Put it in the Books - S1 E12 - The sky is falling! 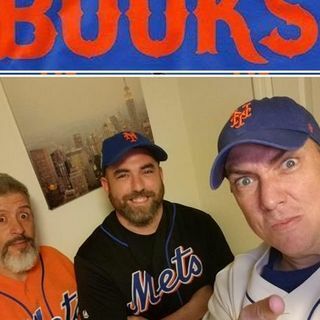 Steve, Keith and Rodriguez are back at it with episode #10 of Put it in the Books! Here are some of the topics for this week! Still PLENTY of timeStarting Pitching staff coming around. Callaway works ?How long before Callaway explodes on field and gets tossed from a game?Is Metspedes worth it ? Is he too Injury prone?What if we swapped the major league team for the minor league team?Who is at the top of the Keith DFA list?Mets lethargic hitting and what the PiiTB team would do to fix ... See More things?Degrom and Thor Trade talks by fans and bloggersIs Callaway to blame?